Located just south of Amsterdam, the Vinkeveense Plassen is known for its incredible lakes and surrounding nature. 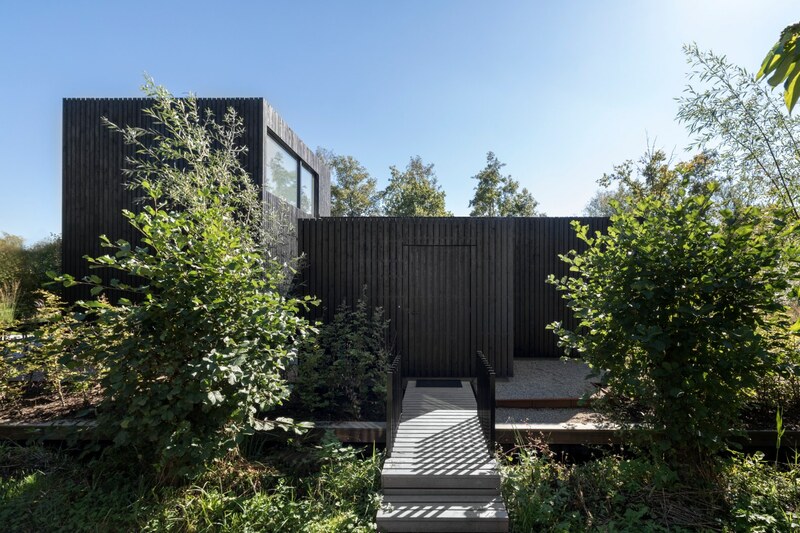 When one family approached Dutch firm, i29 Interior Architects and Chris Collaris to build a home in the idyllic area, the designers created a beautiful 592-square-foot home strategically designed to embrace the incredible natural surroundings. 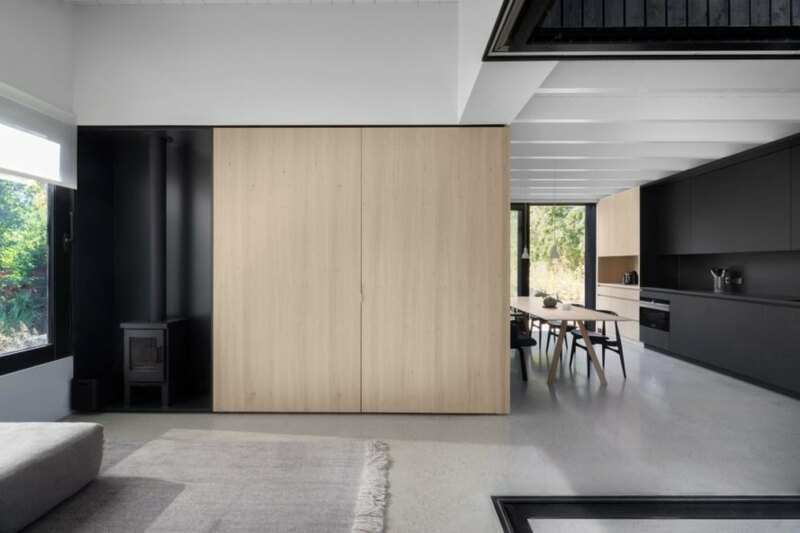 Situated on a elongated island plot next to the lake, the home was designed with an inside-out strategy to make the most out of the limited square footage. 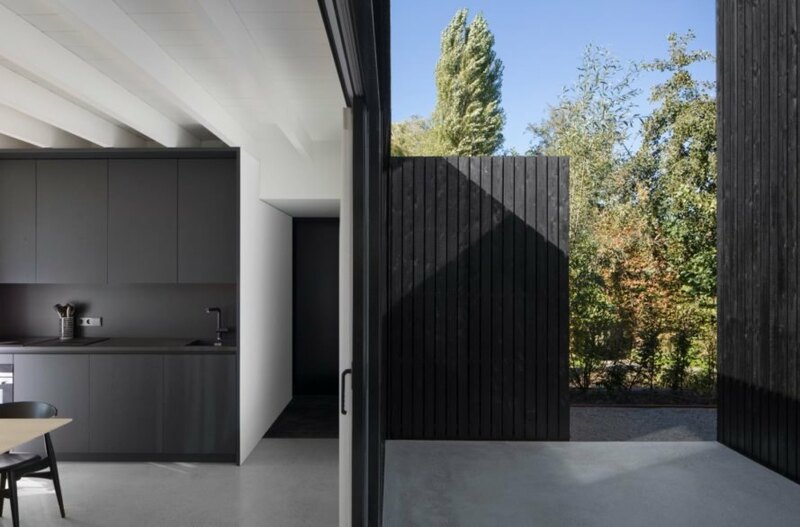 The compact building lot enabled the architects to create a plan that would both reduce the project’s footprint and make the home more energy efficient. 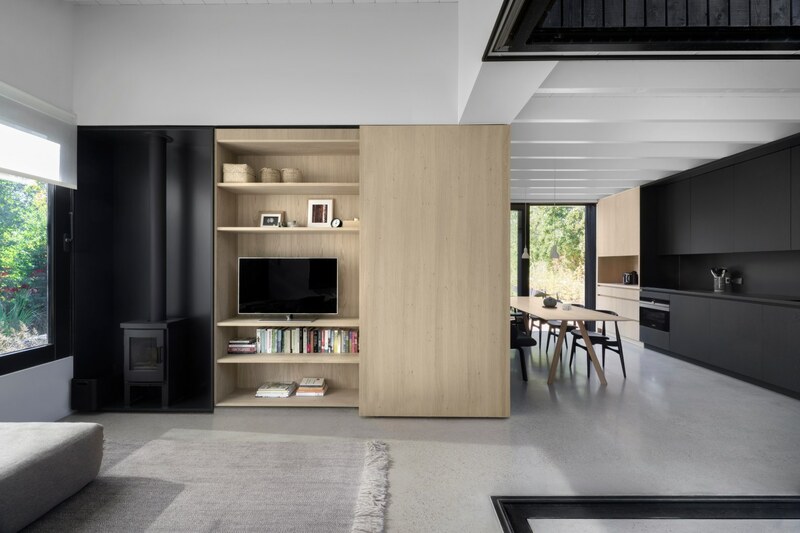 Working within those parameters, the designers chose a layout that includes four modules that house the living room, kitchen/dining room, three bedrooms and one bathroom. A central, open-air patio connects the separate living spaces and creates a strong link with the exterior. 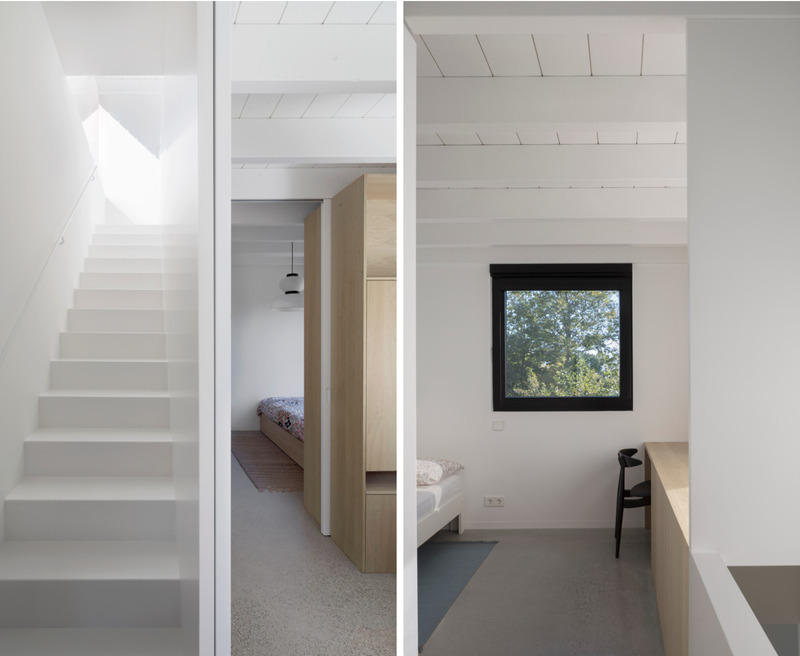 The orientation of the home was at the forefront of the design. Being so close to the water, the architects wanted to make the most of the views and the natural sunlight. 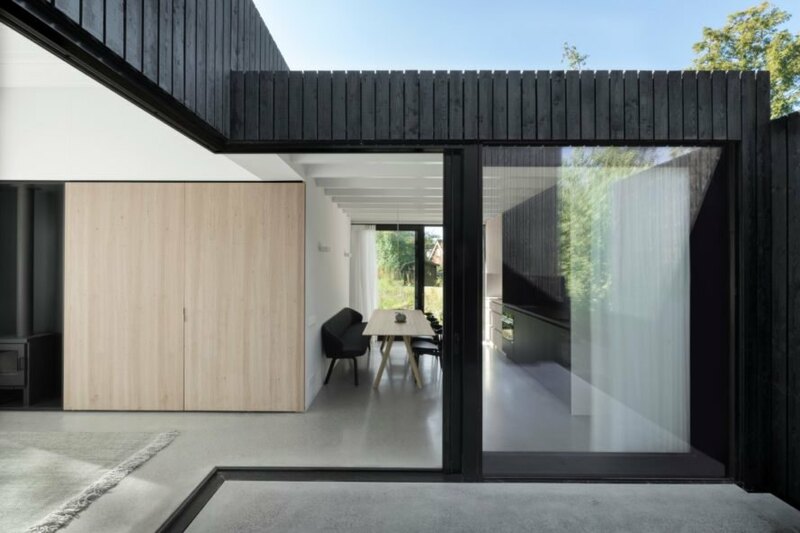 By dividing the home into four modules, the home was able to take advantage of the panoramic views and natural sunlight, reducing the home’s energy use in the process. 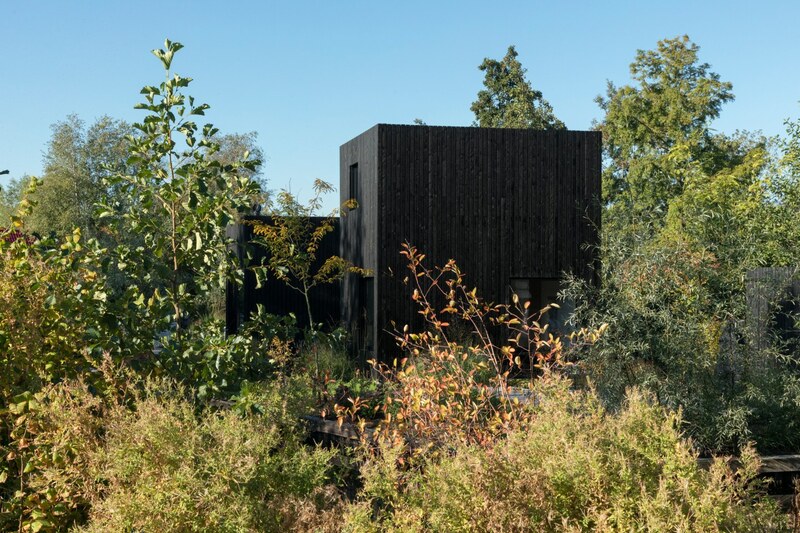 The exterior of the home is clad in jet black timber panels, blending the home into the heavily forested lot. 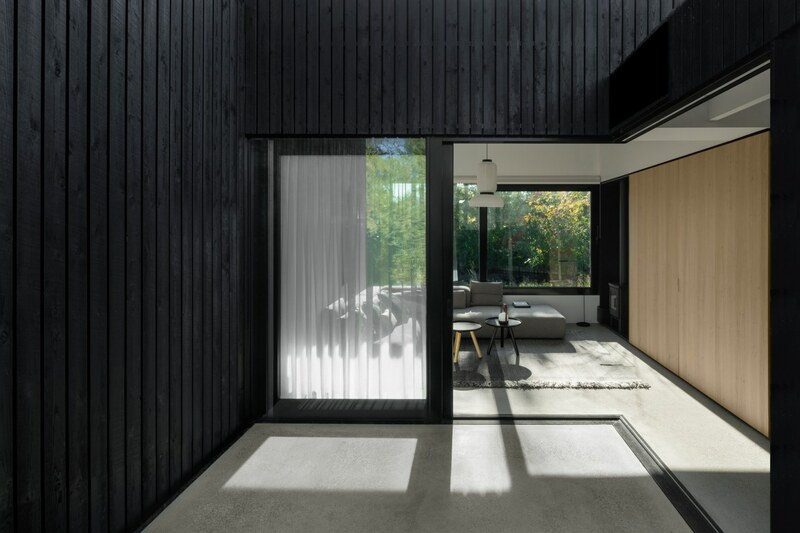 Large windows were embedded into the wooden facade to enhance the design’s minimalist feel. The landscaping around the home includes a lot of large trees that provide natural shade, and a lovely open air deck provides space for entertaining or dining al fresco. 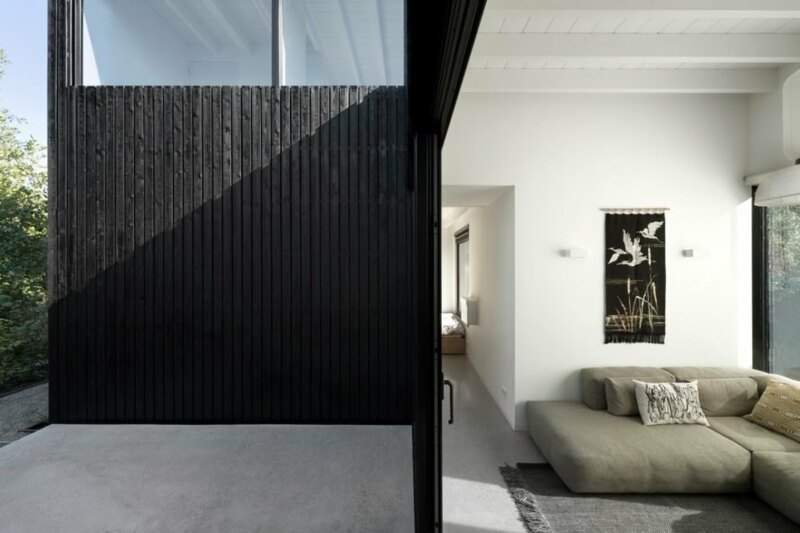 In contrast to its all-black exterior, the interior of the home is bright and airy. Large sliding glass doors and various windows allow natural light to flood the living spaces. Each volume has a distinct height and dimension, so the interior spaces are clearly defined. All white walls with light wooden hue accents and minimal Scandanavian-inspired furnishings give the space a fresh, modern aesthetic. The home sits on a heavily forested lot next to the lake. The lakeside home was designed by i29 Interior Architects and Chris Collaris. 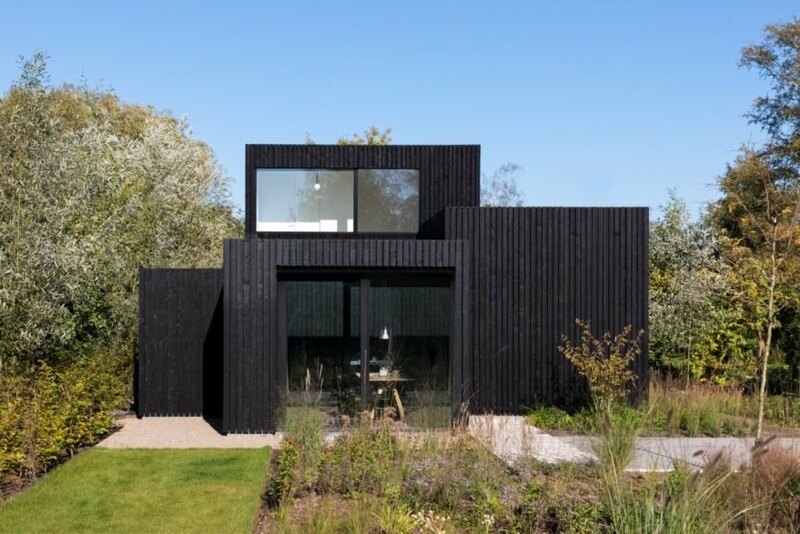 The home's black cladding blends into the landscape. 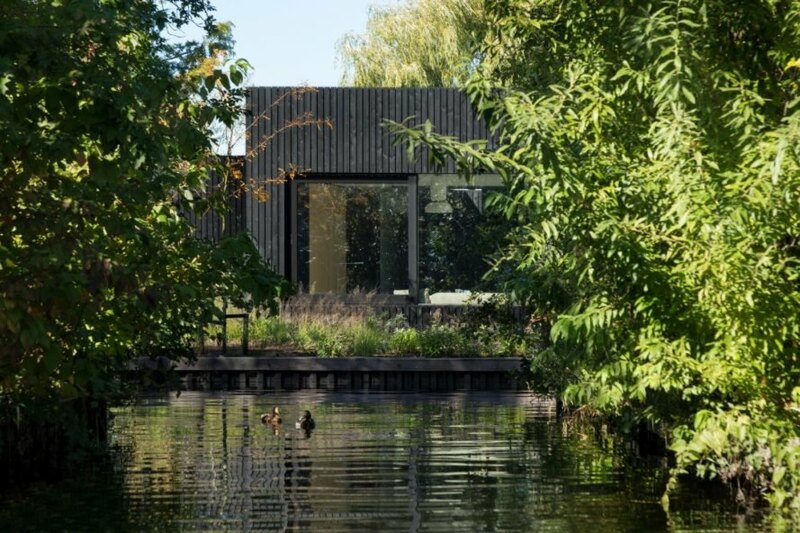 The home has four modules to make the most of its natural surroundings. The home's four modules have differing heights. Large sliding glass doors connect the interior to the exterior. The interior design is light and airy. The home has a modern, minimalist aesthetic. Functional furniture helps keep the home clutter-free. In contrast to the black exterior, the interior is all white, with hints of light wooden accents. The large sliding glass doors open up to an outdoor patio. The all white interior gives the home a fresh aesthetic. 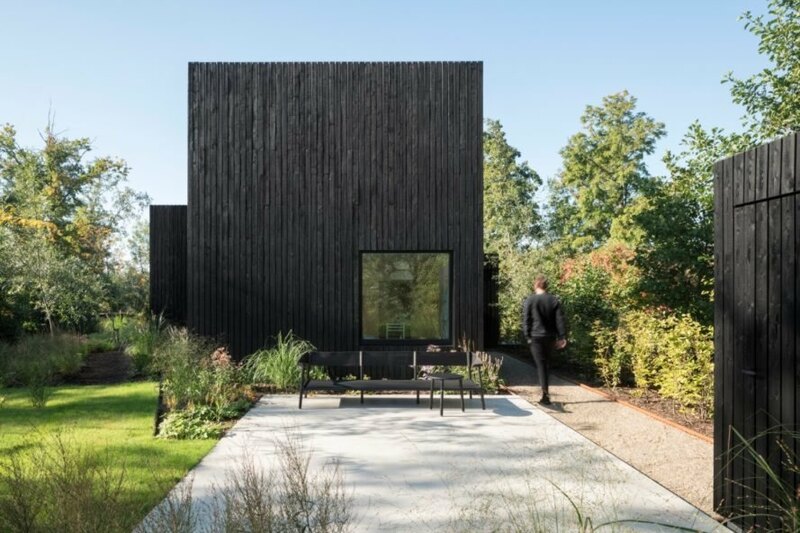 The home's exterior is clad in jet black wood panels. Hints of light and dark wood create a modern feel. An interior courtyard joins the four modules.